There are two types of steam cooking functions available in the NEFF oven range, FullSteam and VarioSteam. All steam ovens are easy to operate and simple to refill the one litre water container. Press a button to open the front panel, remove the container, fill it and you’re ready to steam ahead. Oven or steamer – why choose one when you can have both? 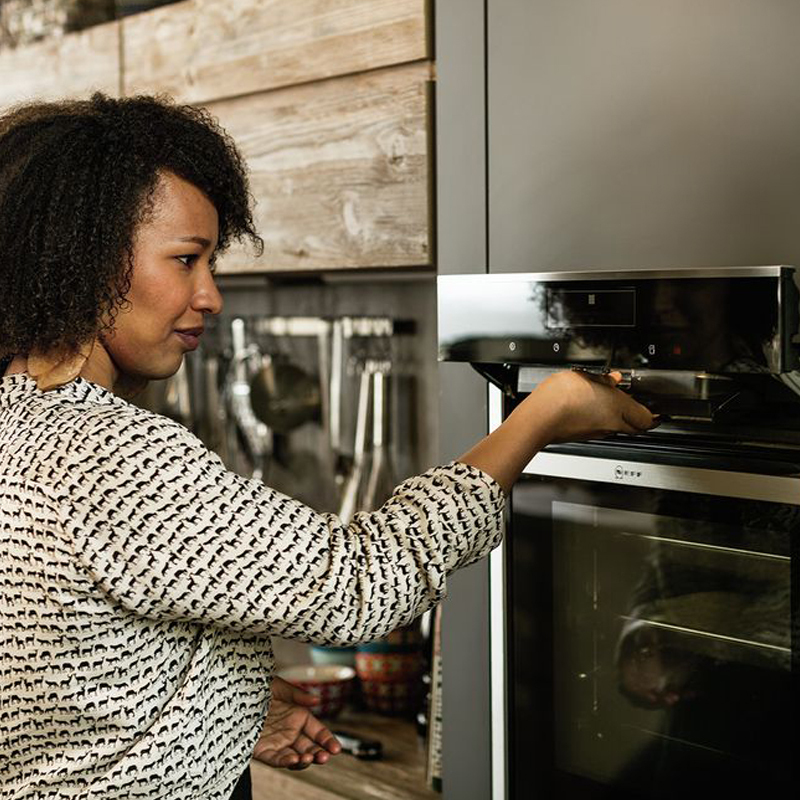 With FullSteam you can now have a full function oven and steamer in one.The FullSteam oven from NEFF unites oven and steamer in a single appliance – all heating modes and steam combined in one 60cm or 45cm oven. Your favourite dishes are perfectly prepared with the aid of 30 programs – from the appetizer, to the main course, to dessert. VarioSteam: Added steam alongside normal HotAir cooking. VarioSteam is the best solution for people who want to enjoy the benefits of steam assisted baking but also want a fully equipped oven with all the heating modes. VarioSteam gives dishes just the right amount of moisture by adding steam at three intensity levels, for baking, roasting or just heading up. Foods come out with more intense flavor and an appetizing appearance. • Improved cooking performance: Better browning, glossy surfaces, beautiful crusts, juicier and more tender meat, less loss of volume. • Best regeneration results: Regenerates entire meals, gently heats up vegetables, and a professional method without loss of quality. 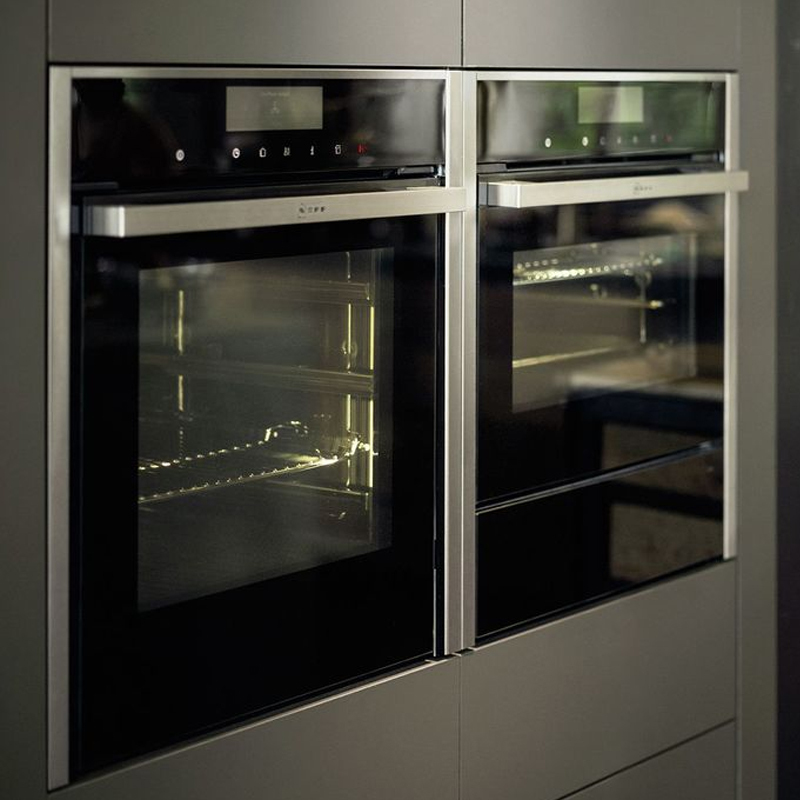 • Flexible cooking options: Three levels of steam intensity, love medium and high. • Hinged panel: easy access to the water reservoir. Easy handling thanks to the descaling program. Automatic water recirculation – no water remains in the pipe system. All NEFF steam ovens include a four year warranty. See the range here or book a free demonstration.